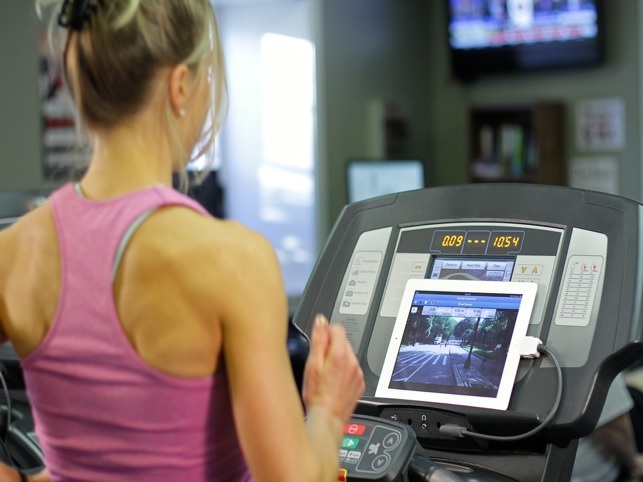 Virtual Runner is designed to work WITH the existing treadmill and iPad. 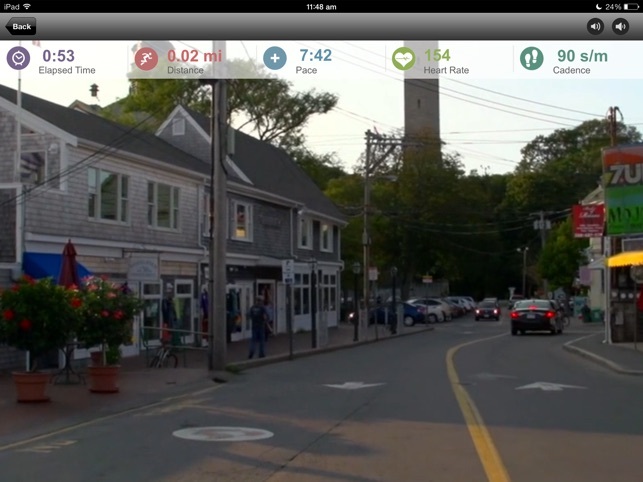 You simply install Virtual Runner on your iPad along with selected course videos. A growing library of famous race courses, popular running routes and scenic destination runs are all shot in wide-screen from a runner’s perspective allowing you to see a course as if you were actually running it, at YOUR pace. 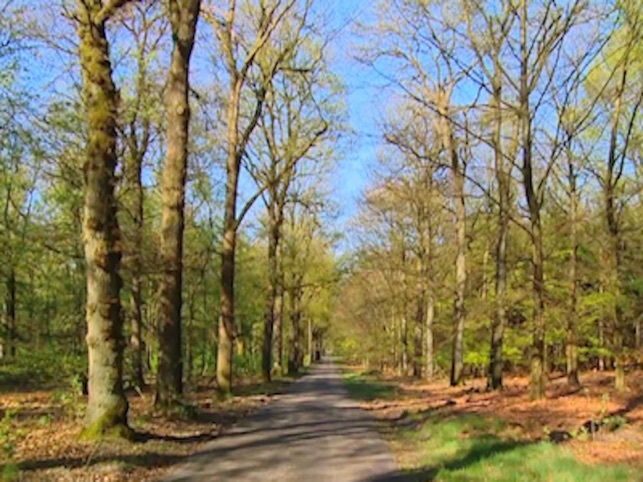 Dolby Digital Sound also captured the natural sounds while the video was being filmed. You can control the speed of the video manually or for a more interactive experience, you can add an ANT+ connection. ANT+ is the wireless protocol found in most of today's most popular sports watches and accessories, many of which you may already own! Attach the ANT+ foot pod to your shoelace and plug in the ANT+ connector to your iPad. (On screen heart rate monitor display is available as an optional feature as well with an ANT+ compliant heart rate strap) Next, you select which video or videos wish to view and start the program. After a brief countdown, your video begins to play on your iPad or HDTV connected (via AirPlay) As you run, the foot pod transmits your pace to the wireless receiver. This data is read by the Virtual Runner Software, which adjusts the speed of the video based on this data. If you run faster, the video will speed up. If you slow down, the video will slow down. 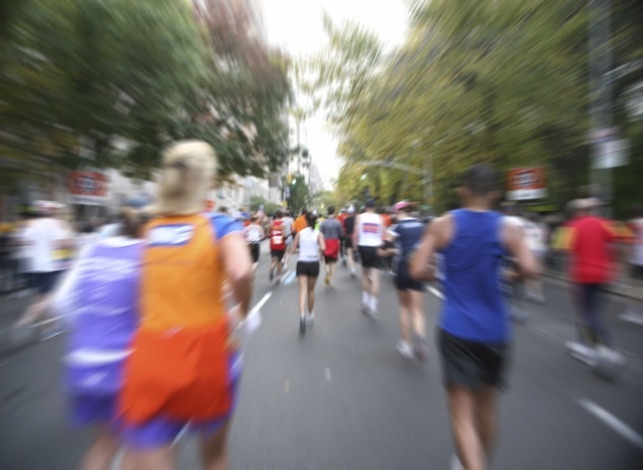 See your overall time, average pace, distance covered (by mile or km) cadence and heart rate. Virtual Runner is sure to make time fly and improve your overall treadmill experience. Bluetooth foot pods and heart rate monitors can also be used with Virtual Runner. No connector needed since the iPad supports blue tooth. ** ANT+ connector sold separately. I just found this app and am really impressed with it. I have been using bit gym which is a paid subscription. Virtual runner has many different choices of well done videos available to purchase. The prices are very reasonable. Even the most expensive video is less than one month on my bitgym subscription. Customer service is incredible! I was having trouble downloading my videos on one of my iPads and they emailed me back with a fix within an hour! Downloads to a computer to load into iTunes is an incredibly slow process, for some reason, but downloading to my iPad is very quick. Could be a problem on my end. Overall, I'm very happy to have found this app and excited about adding new videos to my running library. This app looks WONDERFUL in its advertisement. Be aware that they will ask for your email address and credit card instead of going through itunes for these additional advertised in app purchases. After purchasing a few courses you are instructed to go to their web site where you are informed ...Access Denied. Im now stuck reversing the charges on my credit card for courses ordered but not supplied. I will also be stuck dealing with the Better Business Bureau. Beware of ANY app that asks for your email address and credit card information. Run away from this app. Disregard any owners of this company that put a review after mine trying to sing the praises of the app. If you insist on trying it, and they still ask for your email address OR credit card information, run away. The ONLY thing an app needs for in app purchase is your itunes user ID and password to authorize the download and purchase. 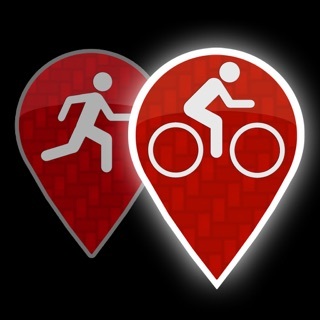 This has been a great App for long distance treadmill training over the winter. I really enjoy the quality of the videos and the road races. The interface of the App is clunky and took a little time to figure out, but once you create an account on Outside Interactive’s website and register your iPad, then the in-App purchases work. For those that complain about price, you get what you pay for. I’d rather pay $20 or $30 for a professionally made video that is a great training TOOL than some ad ridden free-mium App. 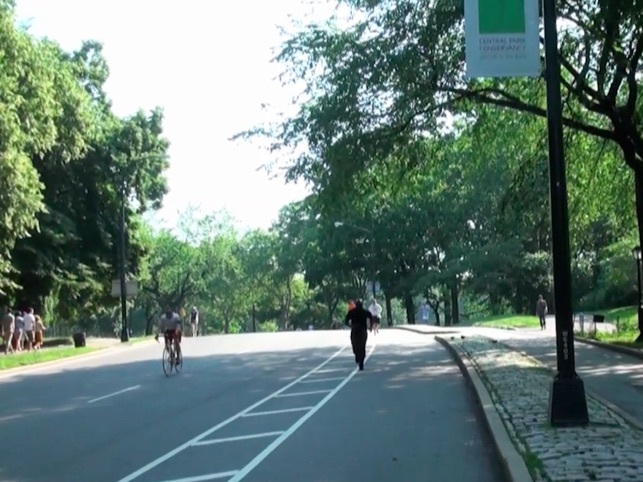 I hope that Outside Interactive posts a half marathon race course soon. One of the short comings of the App is that if you let a 10K or 7 Mile course loop it won’t accurately track your stats. This App works great with the Wahoo ANT+ footpod and receiver, which makes this App an even more powerful tool. I am optimistic about this App evolving over time. It has technical features for distance runners, but the interface isn’t entirely intuitive. I think publishing a users manual would be useful in getting the App quickly and properly configured.